It’s rolypoly season finally and the boys are busy cracking open cold ones and getting rekt. Is that how you use such internet slang? We are sure how to do, fellow kids. We have all the dank memes, lol, rofl. By this point we have frightened away both the internet hooligans for misusing slang and the fogeies who are confused by terms they could look up on Urban Dictionary but don’t. Leaving only the hardiest and sexiest of out listeners. Today Tim has a manhua named Lan Chi. If features a girl who gets adopted into a family with two boys. Also, the mother is possibly insane as she seems to get confused about the girl with another daughter she had who died. Also, one of the brothers hates the new sister. Did we mention she has a tattoo that resembles a card suit on her back? If it sounds like we are galloping through random plot points, that’s exactly how the first volume comes across. Lots of dull, meandering without hint of a bigger plot. For some reason, Tim gave it a Borders. 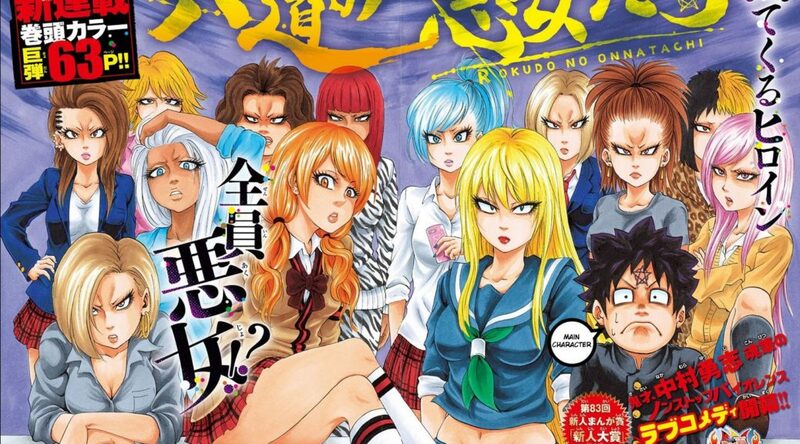 Rokudou no Onna-tachi is Weltalls travesty. The main character is a loser, shocking we know, who doesn’t get no respect. Instead of learning to bug his eyes out and tell jokes, he finds a scroll passed down from his grandfather and uses it. It makes all the girls at school fall for him which causes no end of trouble with the boys who were previously in hapy relationships. Lucky for king douche-mago, a super powerful girl shows up and protects him for reasons we don’t care to recall. It’s a crapfest harem without the charm required to sustain these things. Burn It with great prejudice.